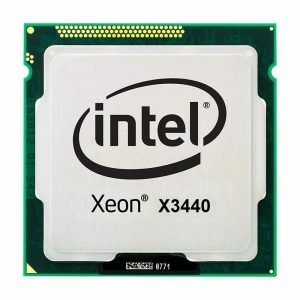 CPU: Intel socket LGA1150 Core i3/i5/i7/ Pentium & Celeron Haswell processors. 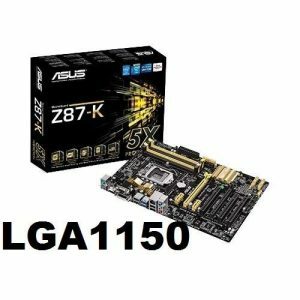 Supports Dual Channel DDR3 2667/2400/2133/1600/1333/1066 MHz memory modules. Memory: 4x 1.5V DDR3 DIMM sockets supporting up to 32 GB of system memory. 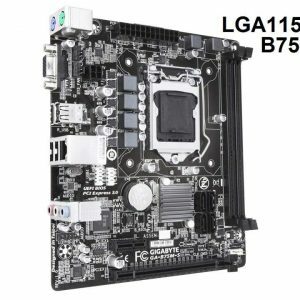 Note: This is a 100% Working & Tested Refurbished Motherboard Comes with Simple Packaging Box. 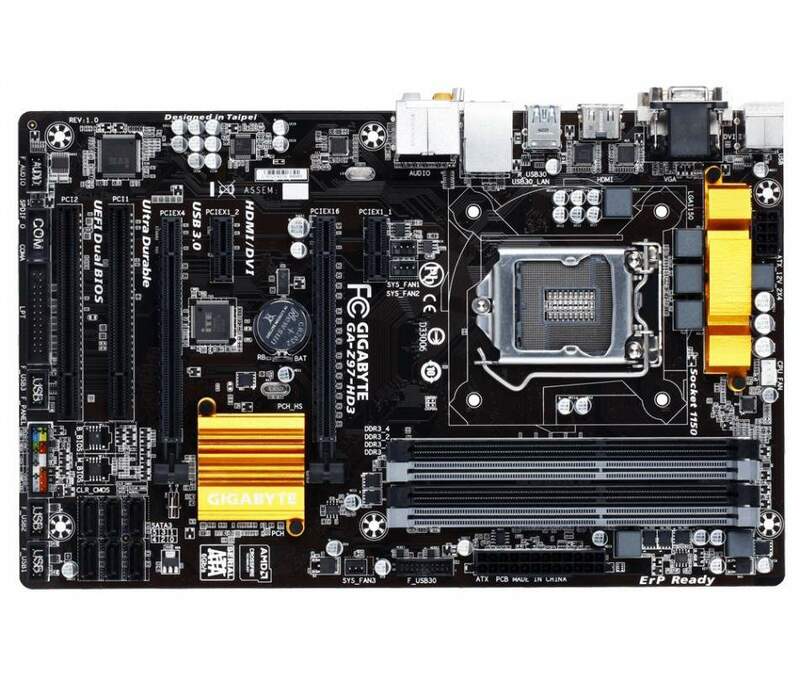 Original Gigabyte GA-Z97-HD3 Desktop Motherboard Intel Socket 1150 DDR3 32G uATX UEFI BIOS, Motherboard Supports 4th & 5th-GEN Intel Core i3/i5/i7/ Pentium & Celeron processors. 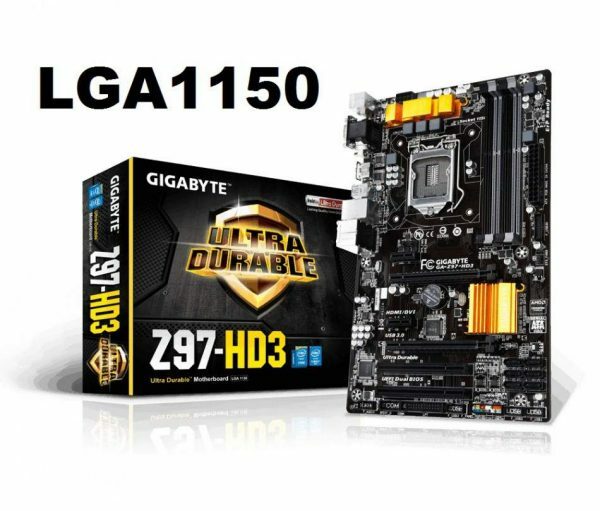 Gigabyte GA-Z97-HD3 motherboards are ready to support Overclocking Capable 4th / 5th generation of 22nm Haswell multi-core processors certainly delivering the very best platform for multitasking, multimedia and high performance gaming. Furthermore Integrated with Intel HD 4600 graphics & PCI-E 3.0 x16 interface for ultimate graphics. 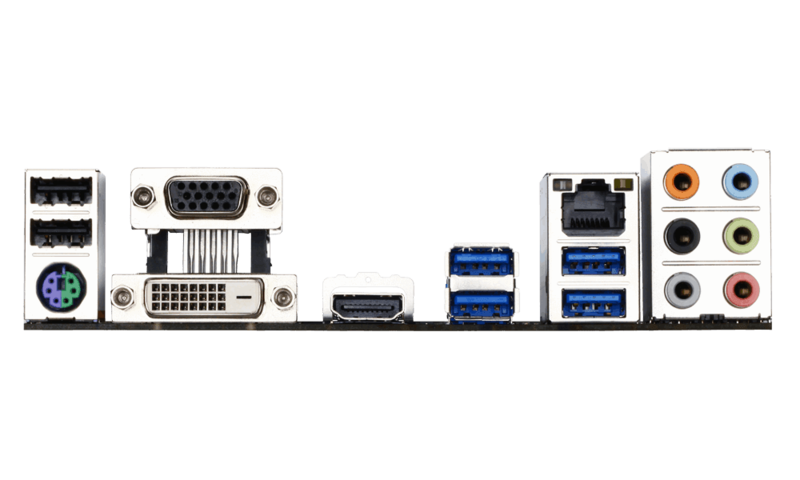 Supports Hybrid U-EFI technology also with USB 3.0 and up-to 6Gb/s SATA HDD support. 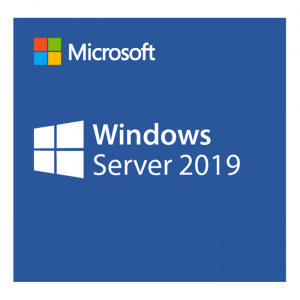 Delivering native support for Dual Channel DDR3 memory up to DDR3 2667/2400/2133/1600/1333/1066 MHz, also with 8-Channel High Definition Audio CODEC*2 Realtek® ALC887. 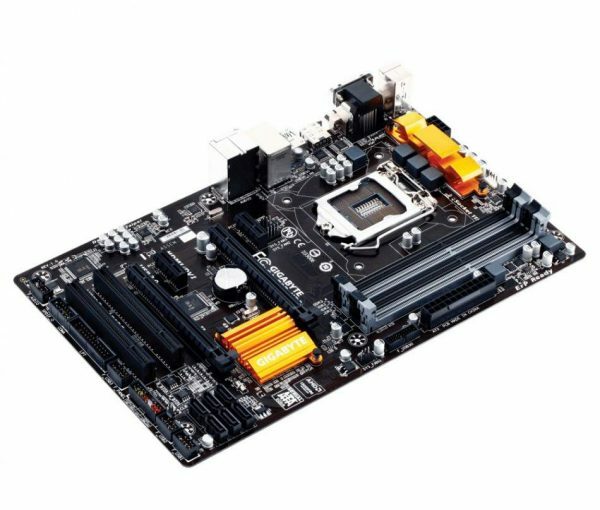 Gigabyte GA-Z97-HD3 motherboard is designed to offer a stable, high-speed platform for delivering amazingly fast data transfer. 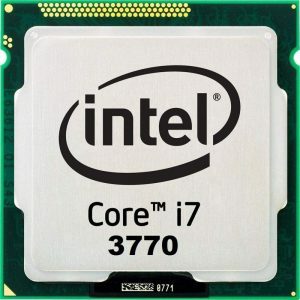 Based on Intel Z-97 chipset Alongside LGA1150, Gigabyte GA-Z97-HD3 supports the 22nm Intel 1150 Haswell Unlocked processors. Integrated DDR3 memory controller with Maximum memory capacity of 32GB Alongside USB 3.0. UEFI Dual BIOS Let’s You Restore corrupted BIOS data from USB storage. 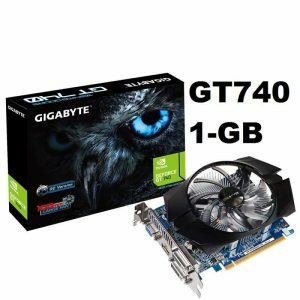 Gigabyte GA-Z97-HD3 is able to provide user friendly computing, reach the maximum system performance easily while still able to save the power and environment in real life at the same time. Anti-Surge Protection Design detects over voltage conditions therefore prevents voltage surges from spreading in real time. It also actively cuts off the over-voltage supply to protect the system. 1. This motherboard is compatible only with 4th & 5th-GEN Intel LGA1150 Processors. 2. Use This Motherboard with Proper Cooling solutions for best results & Performance. 4. It is a 100% Working & Tested Refurbished Desktop PC Motherboard & is Not for Laptop. 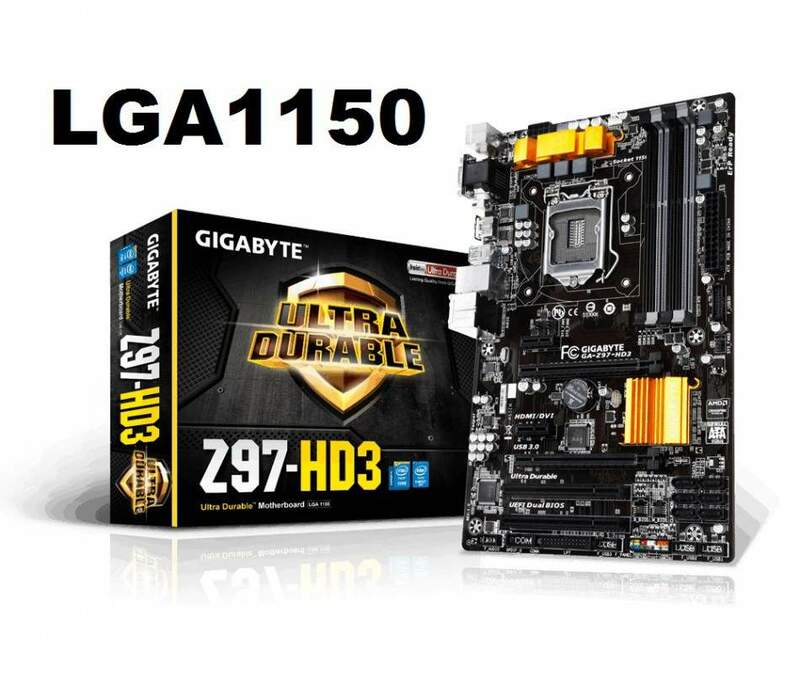 For More Details & Specifications Please Refer Manufacturer’s (Gigabyte) Website.